Vampires, they’re everywhere in popular culture right now. Thankfully today’s post will deal with vampires more resembling the works of Stoker rather than Meyer. However, I’m not interested in discussing Stoker’s characters – Dracula, Mina Harker, Abraham Van Helsing – we’ll save them for another day. 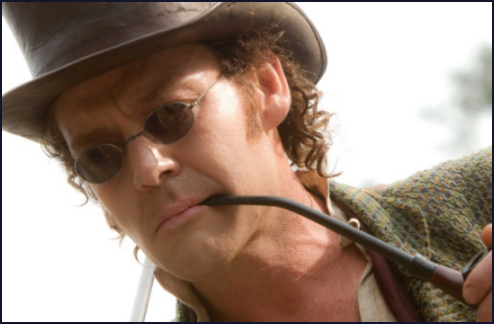 This article will discuss a different vampire hunter by the name of Abraham. Yep, old honest Abe, 16th president of the United States and, if you believe author Seth Grahame-Smith, one of history’s best vampire hunters. 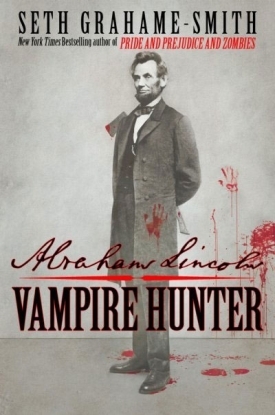 I just had the good fortune of reading Abraham Lincoln, Vampire Hunter and recommend it to anything out there looking to read something that manages to be both incredibly intelligent and hilariously stupid at the same time. The cover captures the book’s tone nicely. I almost didn’t read this book. Not because I heard it was bad, quite the opposite. I heard nothing but glowing praise for Grahame-Smith’s novel. There was only one thing that made me want nothing more to do with President Lincoln’s secret crusade: the film. I saw Abraham Lincoln: Vampire Hunter before I read the book and let me just say this about the movie without going into too many details – it’s dumb. We’re not talking about about the fun kind of dumb either. This is not an entertaining movie to watch. It’s boring, cliched and does nothing to distinguish itself from any other sub-par action film (despite the fact Abraham Lincoln is it’s star). How are two such wildly different reactions possible? It is hard to believe, especially given the fact that the book’s author, Seth Grahame-Smith, wrote the film adaptation’s screenplay. Let’s address that issue first with a simple statement: being a talented author does not always translate into being a talented screenwriter. Anyone who doubts me need look no further than Stephen King. King is one of my favorite authors. Incredibly prolific, Stephen King has written some bad books to be sure but he has also written a wealth of novels that (I have no doubt) will one day be seen as literary classics of the 20th century. The same cannot be said for his movie career (watch Sleepwalkers some time). So authors don’t always write the best scripts. Furthermore, some authors don’t know what is best for the film adaptations of their work. To return to the Stephen King example: King famously hates Stanley Kubrick’s version of The Shining (he wrote his own adaptation in 1997 in the form of a mini-series, give that a watch too). So Seth Grahame-Smith’s involvement did not guarantee success. If anything, it proved to be the film’s ultimate downfall. 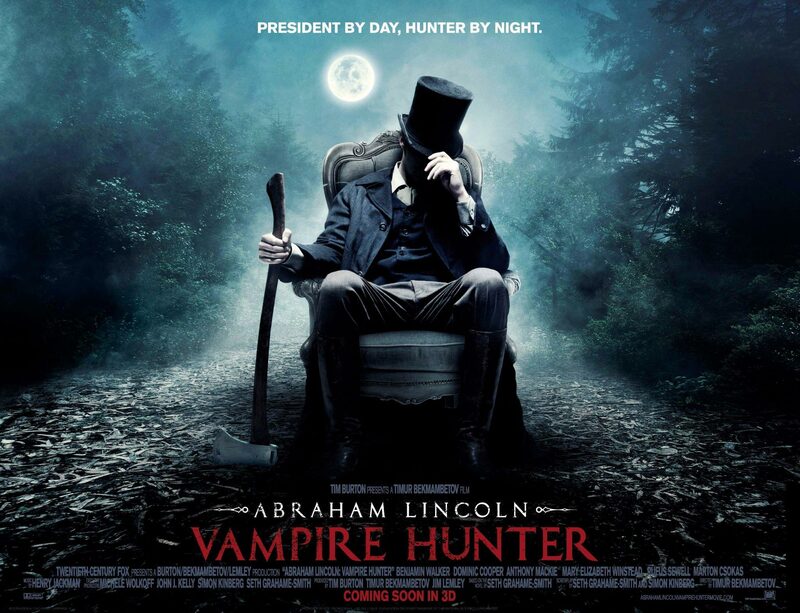 The script in Abraham Lincoln: Vampire Hunter is more than stupid. It’s stunted, sudden and leaves a very anti-climactic finale. So how did this happen? What did Grahame-Smith do to squander such great source material (that he created) in the film adaptation of Abraham Lincoln, Vampire Hunter? Let’s look into it. The character of Jack Barts is very minor in the book but enjoys much greater screen time in the film. In order to specify the film’s failures, the book’s greatest triumph must be highlighted. Seth Grahame-Smith must have done a lot of research before writing his fictional biography and it shows constantly in the reading. This book isn’t simply an exercise in “hey, wouldn’t it be cool if Abe Lincoln fought vampires”. It is the mythology of vampires and their folklore being painstakingly woven into the actual history of Abraham Lincoln’s life. There is so much in Abraham Lincoln, Vampire Hunter that reads like an actual diary. This effect greatly enhances the believability of Lincoln stalking vampires at night with his hunting axe and leading a Civil War with the main (but secret purpose) of banishing vampires from North America. 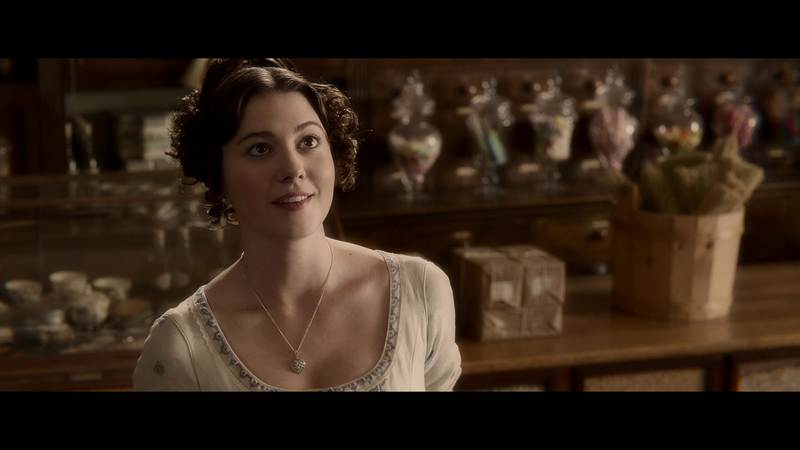 Every ridiculous moment in the book is given credibility by its historical background. There is nothing this fictional in the book. Unfortunately there is nothing else remotely this stupidly cool in the movie either. Just add vampires and you have the book. There is a semi-spoken belief that action movies must be stupid in order to appeal to the masses. I’d like to think films like Christopher Nolan’s The Dark Knight and Inception disprove this notion. After watching Abraham Lincoln: Vampire Hunter, I can’t help but wonder if Seth Grahame-Smith believes this to be true and that is the reason why he threw out his research for the film. Why else would he create the character of William Johnson (there was a real person by this name in Lincoln’s life but so completely different that he cannot even be said to be “inspiration”) other than to hammer in the fact that Lincoln hated slavery. I guess making slave owners into evil vampires that were butchering millions of people wasn’t enough to drive home the message that slavery was evil. There is another character created specifically for the movie called Adam. Adam is the purely fictitious big bad vampire who is leading the order of vampires in the south. In the book it was Jefferson Davis (president of the Confederacy) who served as the final antagonist (Davis is not a vampire but had sold out, effectively selling all of mankind into slavery… pretty clever right?). This change wouldn’t bother me if Adam was interesting but he’s not. The wooden stake that kills him has more personality. That’s really the biggest flaw in all of the changes. They do simplify, which is needed when there are only 105 minutes to work with, but they do not simplify well. 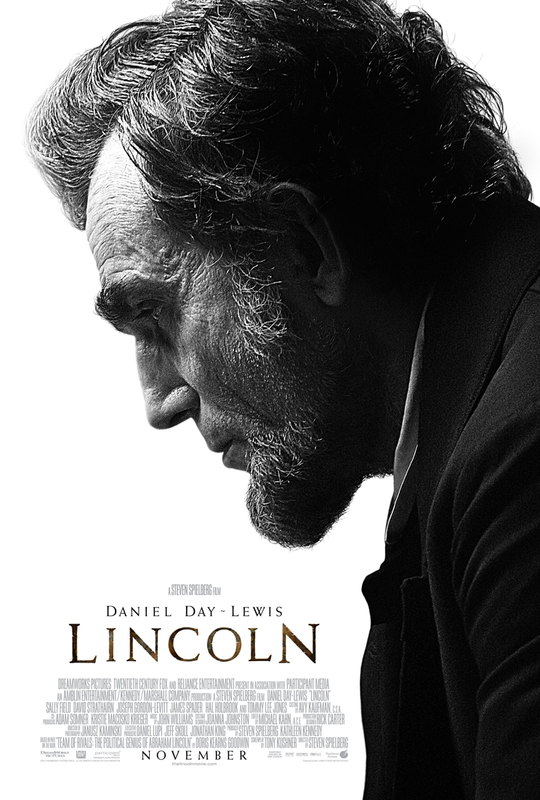 I am very convinced that there was a better way to present this movie and the proof lies in Lincoln, a vastly superior movie released on nearly the same source material as the Abraham Lincoln, Vampire Hunter. They are both fictionalized historical biographies, one is simply far more fictionalized than the other. Mary Todd Lincoln was nowhere near this physically attractive. Another change “necessary” for a successful summer action flick. I’m all for stupid movies as long as they’re fun. They definitely have their place in the summer. My disappointment in Abraham Lincoln: Vampire Hunter does not come from the fact that it took an intelligent book and dumbed it down. It lies in the poor adaptation skills of the author, Seth Grahame-Smith. Apparently for Grahame-Smith, smart writing is a lot easier than stupid writing. I only wish I could say that as a compliment. So if you’re interested in mixing Abraham Lincoln and vampires, do yourself a favor and read the book. Sure it will take you a few more hours but you’ll actually enjoy those hours. Six-eight happy hours vs. one hour and forty-five minutes of wishing you were doing something else with your time: your call. Kudos to marketing for developing a cool, moody poster. Too bad the final product doesn’t have near the same effect. Reblogged this on TheOprimer VIII.